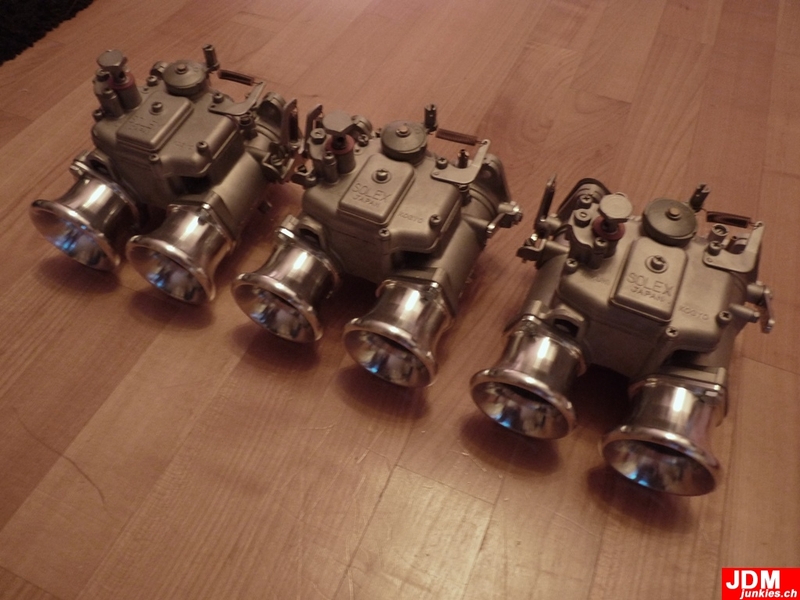 240Z: Triple Mikuni Solex PHH S5 Carbs FTW! I randomly seem to stumble on nice stuff by accident. 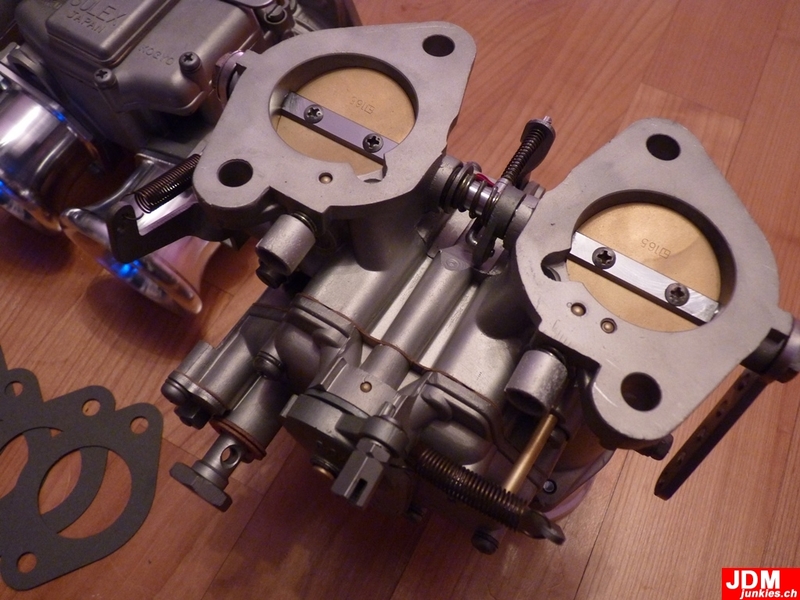 I always dreamed about triple Mikunis for my Z, but i thought that in the current situation with the house project, work and other things going strong, i save them for buying them later, even with rapidly rising prices. 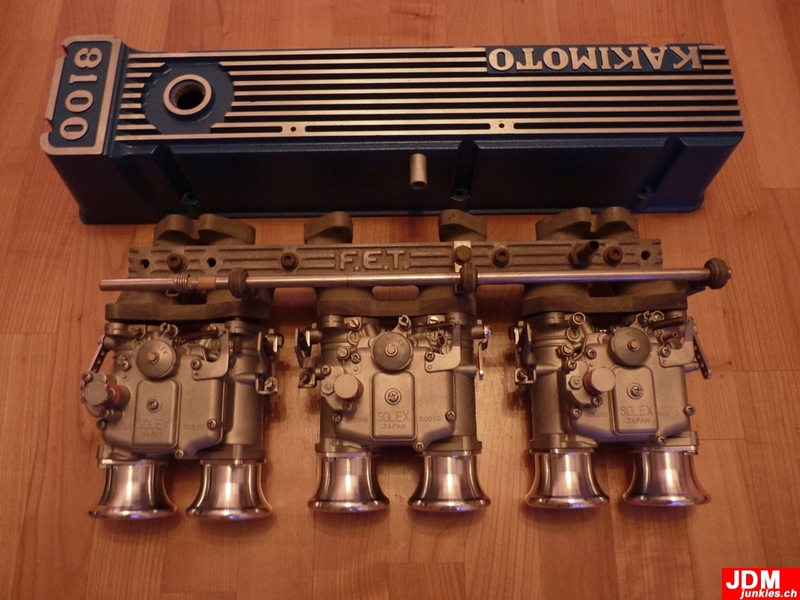 Then, lately, i came accross these nice carbs for sale on an Austrian ads website, when i was actually looking for something totally different. 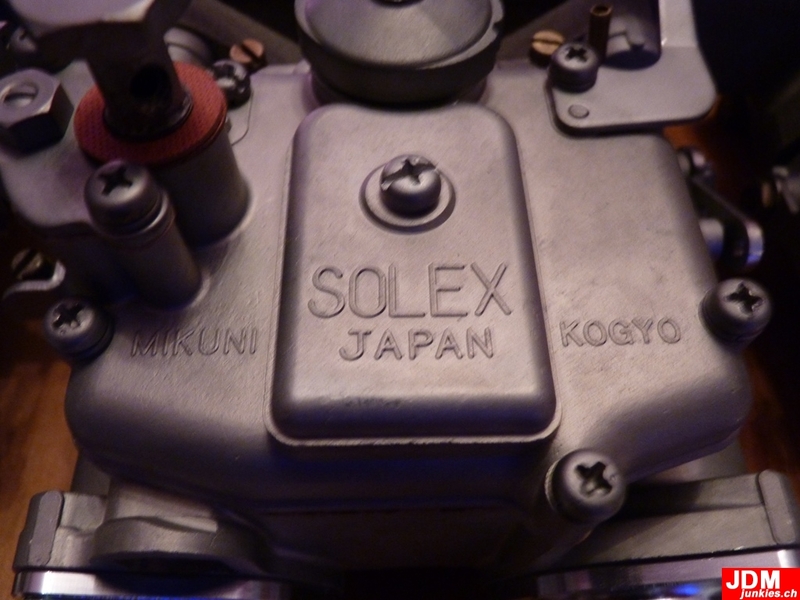 They are genuine japan made Mikuni (Solex) PHH40 S5 (5-screw) carbs. You might wonder why PHH40? I don’t plan to run any crazy numbers, so the PHH40 should be sufficient according to my calculations. we’ll see. I think i can swap them for PHH44 when i figure out that i was wrong. The deal was too god to say no. It was a once in a lifetime opportunity. 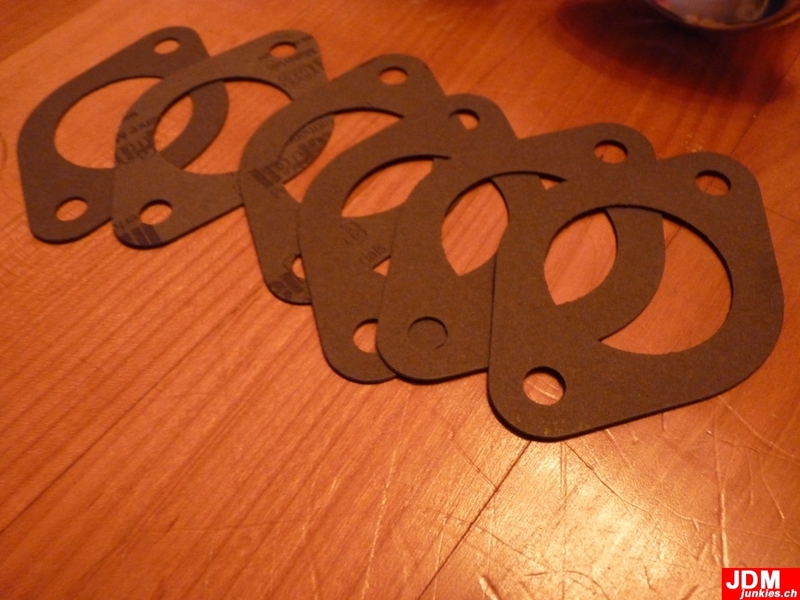 It even gets better: They came with a free set of intake side gaskets and beautiful velocity stacks. This entry was posted in 240Z Project. Bookmark the permalink.